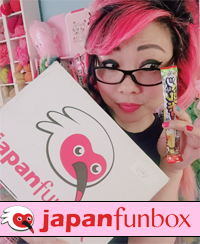 ← Fun Stuff Round Up Returns! Let’s window shop! Tools of the trade: check out my GLUE BOARD! Cardboard has so many uses!!! I have used this piece of cardboard for at least 2 years. I don’t want to be wasteful! I started using it to pour out my GemTac, which is what I use to adhere small beads to my crochet work (I think it looks better than sewing for my ice cream scoop hair pieces). I also used to use another piece of cardboard exclusively for hot glue, but then I invested a whole $5 into a reusable hot glue gun pad, which is way awesome (hm, it looks like it’s $7 now, so maybe visit your craft store to see if it’s cheaper?). But I still use my trusty cardboard glue board for other adhesives. Check it out! Gross, yeah? I mean, artistic!!! 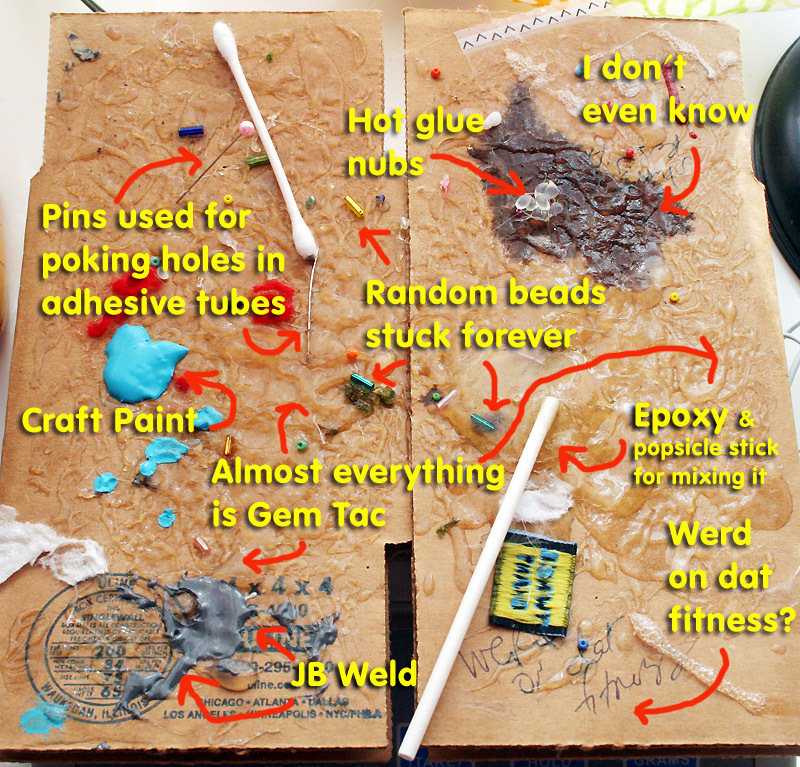 14 Responses to Tools of the trade: check out my GLUE BOARD! but it is a great idea!!! That’s a good idea! I have meaning to make a GUN RACK for my various hot tools. Hah I have one of these too for my deco, full of the broken dreams of stuck rhinestones! 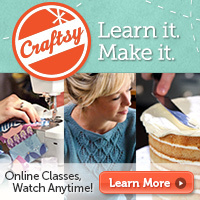 There should be a tumblr for all of everybody’s craft glue repositories! No joke, someone would probably buy that! I totally have a Chuck E. cheese plate that is 4 inches thick of hot glue, plastic beads and bit of newspaper from about 20 years of use. I feel like I should spray paint it gold and sell it. How epic if that newspaper has a date on it! I never thought to look, but now ‘m going to dig it out! It would probably be around 1990! at least it’s all dry!